If you are going to get a Corvair, the 2nd generation Corsa Turbo hardtop is the one to get, but prices are appropriately high. 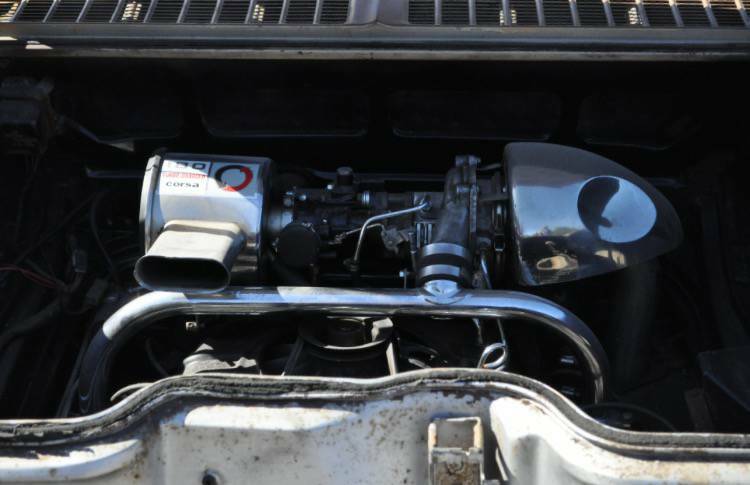 The trick is to find one for a significant discount off the going rate, even if it needs paint or body work...just make sure you've got one with the 180 horsepower turbo engine. 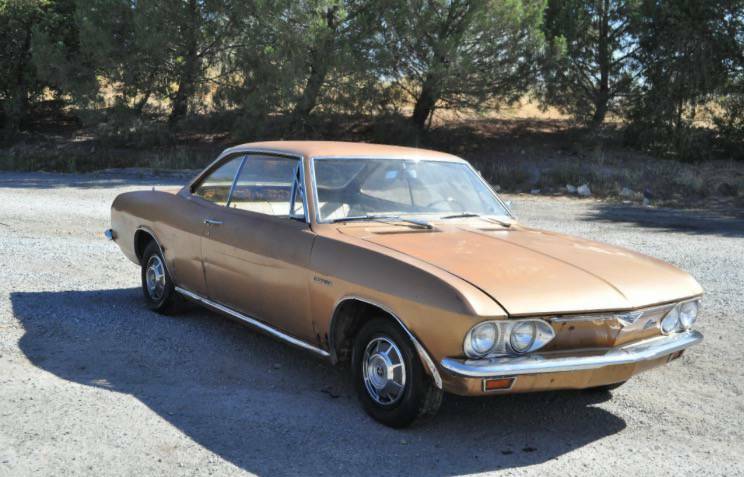 Find this 1966 Chevrolet Corvair Corsa Turbo offered for $5,500 in SF Bay Area, CA via craigslist. 1966 Corvair Gold Turbo is a rare car with 180 hp it was only built two years 1965-1966. The car runs. The car needs work it, is a project car. One of the cars doors are red. With such a thoughful, comprehensive and detailed description, I can't even think of a question to ask or comment to make. I'm guessing the seller is either 20 years old (a grandson's unwanted inheritance) or 96 years old (a grandfather planning that inheritance). Maybe a pithy, professional blogger. Who you callin' pithy. Wait? I ain't no professional. Certainly not pithed at anyone either. You can get a new eth key for your typewriter fairly inexpenthively. Jutht thayin'. The red door adds another 10hp.